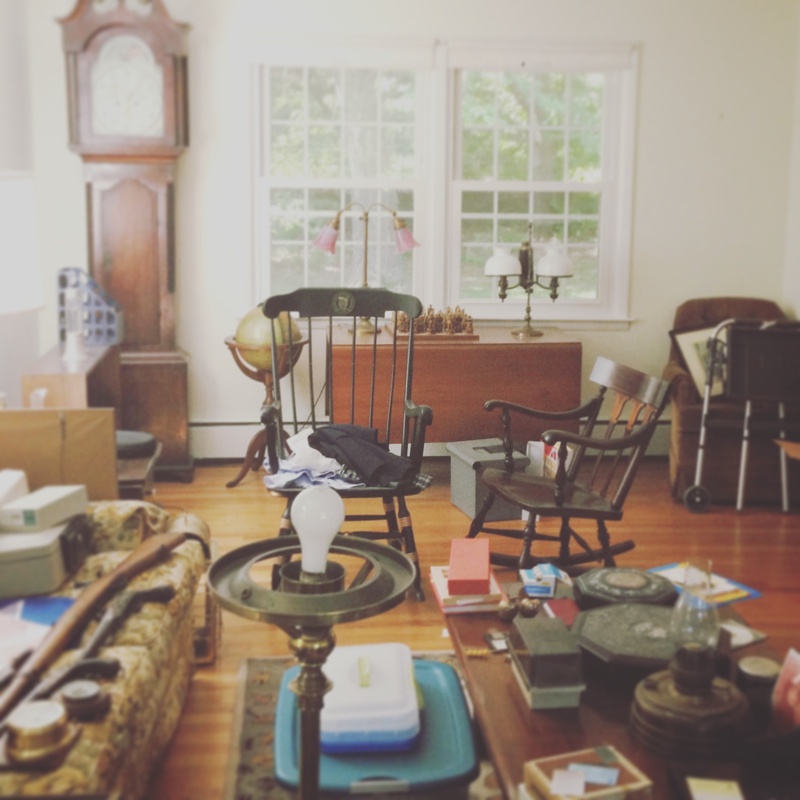 One of the things we are busiest with and that I enjoy the most is providing estate sale services: helping families figure out how to deal with houses full of things that they need to take care of. For a variety of reasons, including downsizing or elderly parents moving on, clients call us to help them figure out what to do. 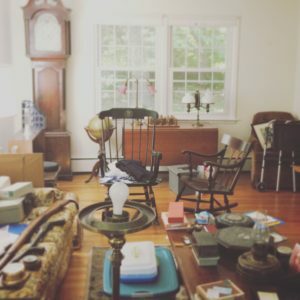 It can be incredibly overwhelming to consider disposing of family treasures that are no longer wanted or that are impractical to keep and maintain, or to consider leaving the family homestead that holds so many cherished memories. 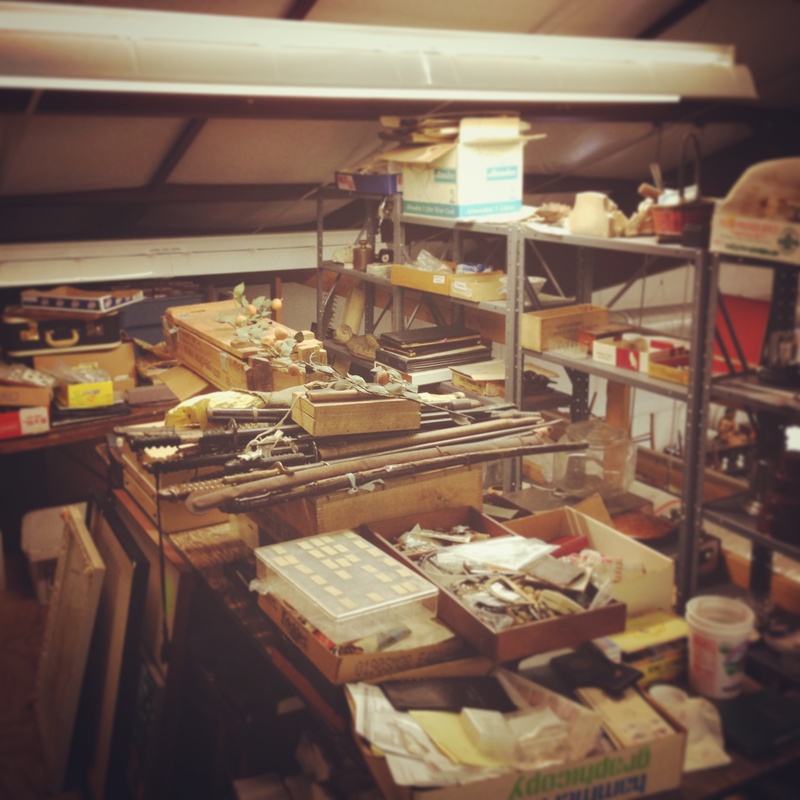 It can be hard to know where to start when considering an estate sale. What we do is meet families on-site at the home, get a sense of the nature and amount of things, and help decide the best way to accomplish what they need, based on the preferences of the family and the specific circumstances. We only meet on-site when the family has reached the point where they are ready to actually proceed with selling items. We can help figure out what make sense to keep and what makes sense to sell. You may be considering an on-site professionally run estate sale. We can help with that, if it’s best for your circumstances. However, estate sales are sometimes not the best way to sell certain categories of things. One area that we specialize in is estate jewelry, scrap gold, and collectible coins. The profit margin that a professional dealer makes on this type of material is typically 10-20% as opposed to an estate sale where the commission rate is typically 30% to 40%. If you sell these types of items at an estate sale you will pocket less money because of the higher commissions. Some types of decorative art objects like paintings or rare collectibles may have high value and may be best to sell through a major auction house. We have an established relationship with all of the major auction houses and can arrange the best placement, conservation if necessary, and delivery, taking care of all of the details that an auction house will typically not do. Our clients love this service, which we provide for the same commission that you might be charged if you dealt with the auction house directly. There are always many concerns to address. Sometimes families need help getting general values on items that the family wants to keep in order to distribute them fairly. Very often, families might suspect or have been told that one or more things have exceptional value. Maybe they have been pressured to do things one way instead of another and aren’t sure or didn’t get a good feeling about that advice. It’s important to be careful. There was a man in Voorheesville who purchased a bowl at a yard sale in 2007 for $3 that ultimately sold at auction for 2.3 million dollars. Great story, but you don’t want to be the person left holding three one dollar bills. I love Antiques Roadshow on PBS which we have sponsored locally since 1997. The stories of things of things purchased for a song by normal people and sold for small fortunes are very exciting. You just don’t want to be the poor soul that sold the table for $40 who is later watching TV and seeing the table that they sold valued for $400,000! Our philosophy is that each person in a transaction with us should achieve the best results possible and should come away from it feeling satisfied and pleased with what they have accomplished. We want everyone we deal with to feel good about their experience. If you have any questions about estate sale services or feel that we can be of assistance in any way, please send us an email or give a call; we are always happy to help.